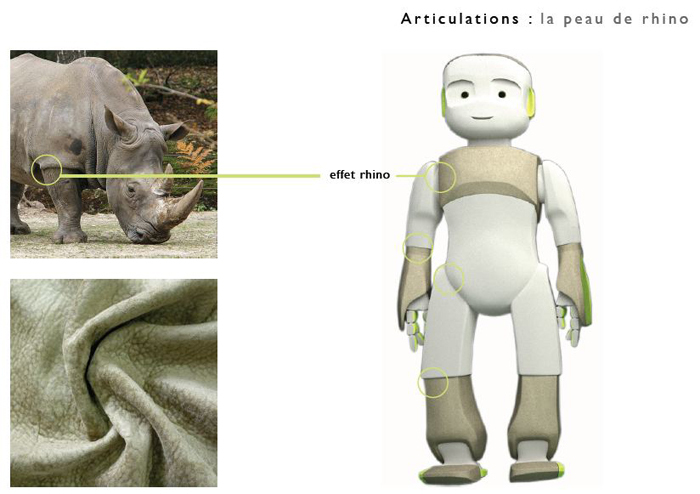 Project initiated by the Aldebaran company, and realized during my training at l’ENSCI – Les Ateliers. 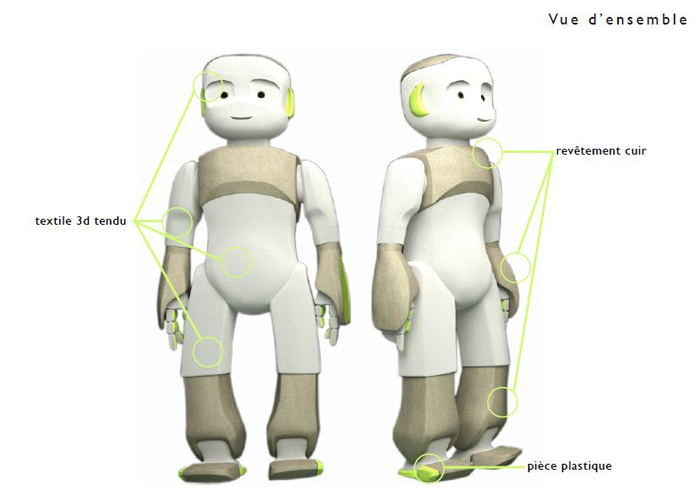 Ido is a 1,40m robot of personalized help for elderly and disabled persons which is currently developed by the company. 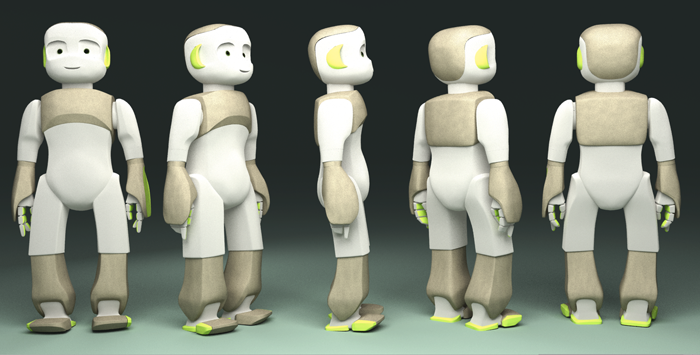 The design’s goal here is to bring sensitivity and create an emotional bond between the robot and their users. 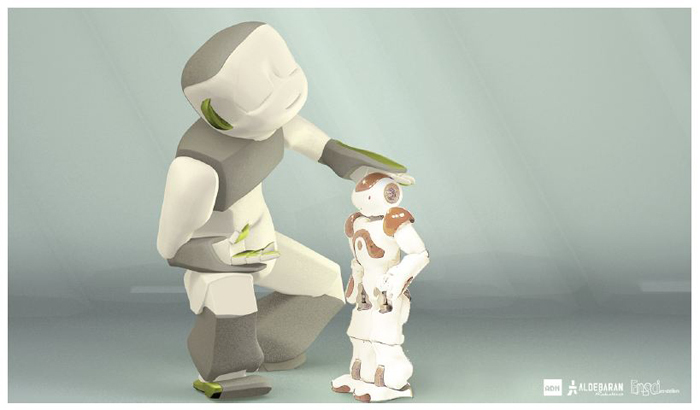 Indeed, taking place in the home of the users, and sometimes being their only support and help, ‘it’ must be designed as friendly, accessible and as intelligent as possible but, first and foremost, must create trust. 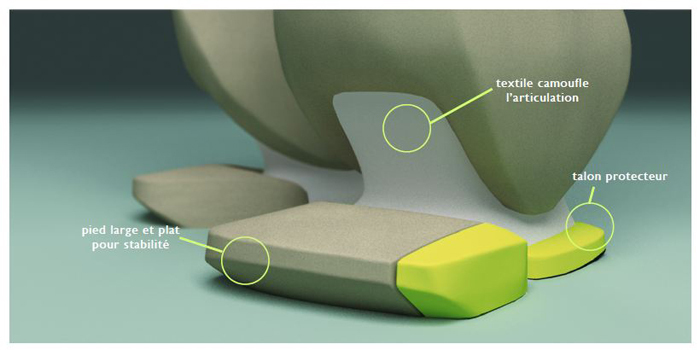 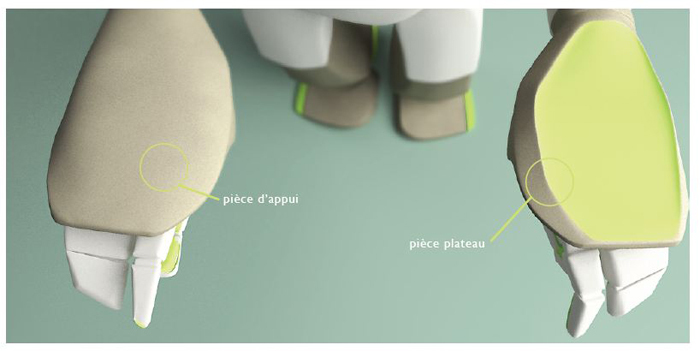 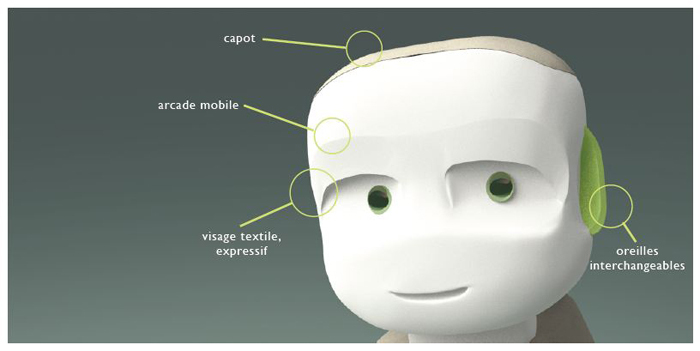 Our design is based on a non-humanoid form (to avoid the uncanny valley), covered with a patchwork of two different textiles: A soft, extensible one (white) to allow deformation and break with the robotic aspect, and a leather one on all the area that will be of interaction with the users. 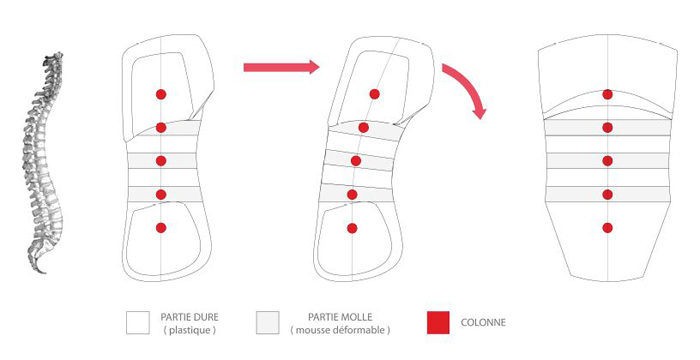 The gel below the leather allow a strong grip to help people grab it while the leather gives a long lifetime to the cover. 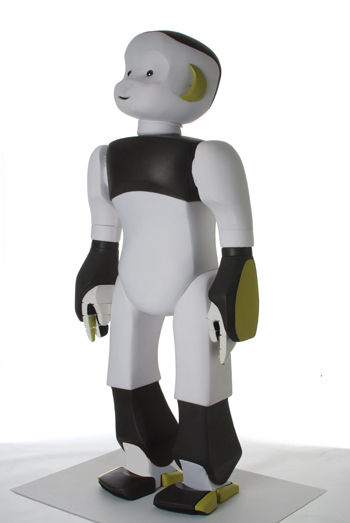 More than just an amazing technological robot, Ido is first an object to be appropriated. 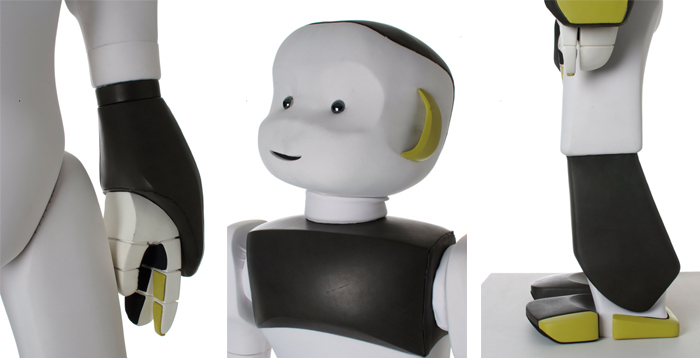 And, of course, Ido with his little brother, Nao.